I’ve been to many places in Europe, but never traveled before to the Nordics. Stockholm was the ice breaker and I am pretty sure that some other will follow as I loved the city, the people, the architecture, actually everything. The city is surprising in every single way. From the cleanliness to the beautiful buildings, the nice people & lovely fika (local name for coffee accompanied by something sweet) places, museums, parks, restaurants & going out places, everything is perfect. But of course that everything comes with a price & Stockholm is quite expensive. One thing that can make the city more or less beautiful than it actually is, is the weather. I find this general applicable when it comes to seeing new places – sunny weather gives the mood of the trip, changes the perception of the places you see, it makes the city nicer and the holiday more enjoyable. And I was lucky enough to have only sunny weather & blue sky. The best option for me was an Airbnb, good value for money by far. It’s definitely cheaper than a hotel and I prefer it as I feel like at home, not like a tourist, but rather like a local. And you can better feel the local vibe. Sodermalm is a good place to choose for your stay, not that crowded, but close to everything in the same time, full of restaurants, drinking & coffee places and boutique stores. How to travel in the city? Walking – it’s quite easy to move from one part to the other, the distances are walkable, so I would suggest you to try it. To save some time & energy plan more activities in a row in the same area to avoid commuting. Public transportation – by bus/subway can be a good option if you want to go for longer distances, as walking can become tiring at one moment. You can buy a 3 day pass or more, but it worth the money only if you plan to travel at least 2-3 times a day by public transportation, Otherwise I would recommend you to take a rechargeable card & put some money on it whenever you need it. Just for your orientation a trip by metro costs around 2.5eur and it’s slightly cheaper by bus. Biking – for 16 euros you can rent a bike for 3 days. It’s very practical since there a lot of picking up/dropping off points in the city, so that you can leave the bike when you get tired or simply want to explore a certain area by foot. You don’t have to keep it with you for the whole day nor to take care of it during the night. Keep in mind that you cannot buy the card at these points, but only in the partner stores (7eleven is one of them). Skansen – the first and the biggest open air museum in Europe. You can enjoy the Swedish old houses, some of them are open and can be visited inside, how the stores looked like in the early 19th, the church, the town hall & the post office. It’s like traveling back in time. They have also like a small zoo, where you can see different Scandinavian animals. Yes, you can also see reindeers. Book a few hours for this place, especially if the weather is nice as you will enjoy it a lot. Vasa museum – it’s the most visited museum in Scandinavia. And it deserves it. This is the place where you can see the only preserved 17th century ship in the world, 95% of it being the original. It’s a beautiful piece of art, but it has a tragic story behind. I will let you to discover more during the visit. Gamla Stan is the old part of the city & probably the most crowded place in Stockholm. Get lost on the small streets, buy souvenirs & enjoy a coffee at one of the lovely places. There are 2 main attractions in this area, the Royal Palace and the Nobel museum. A must on your to do list is a ride with the subway, I can guarantee you that will be the most wonderful ride ever:) It is said that the Stockholm subway is the longest exhibit in the world, with 90 of of the total 100 stations decorated in a unique way. Make sure you go on the blue line as it has the most spectacular stations (Kungstradgarden, T-centralen, Radhuset, Solna Centrum, Tensta). Getting on and off the metro can be fun as well. Other museums on the list in case the weather is not so good and you would like to spend some more time inside: Fotografiska museum, where you can also have lunch and enjoy the view of the city & Nordiska museum. 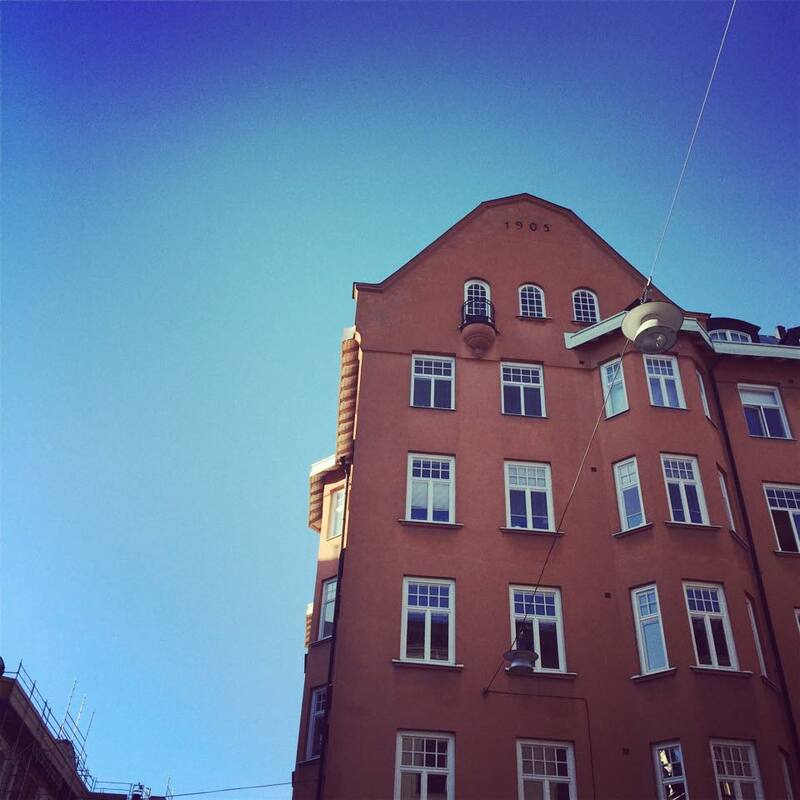 Keep an eye on the blog to find out more about the Stockholm experience.